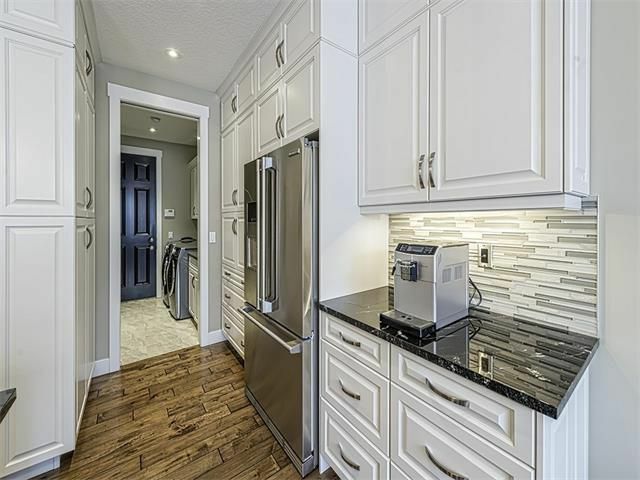 Spectacular extensively upgraded FOUR BEDROOM home with FULLY FINISHED BASEMENT backing onto a PRIVATE WOODED AREA. 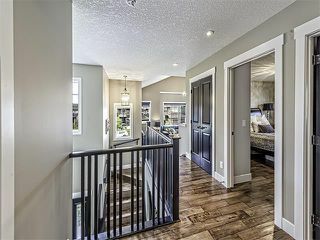 Cathedral vaulted front entry preludes open concept main floor highlighted by two tone over height doors, 9’ ceilings, hand scraped wide plank hardwood floors, central air and upgraded lighting. 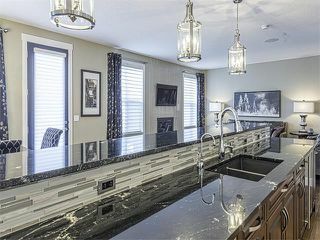 Gourmet kitchen boasts stainless steel appliances, glass tile backsplash, exotic Italian granite, solid core white cabinets and huge island with cherry cabinets and raised eating bar. Adjacent dining room has patio door leading out onto the stunning mufti tier landscaped backyard. Great room is accented by tile trimmed gas fireplace. In addition, the main floor offers laundry room with cabinets, lockers and sink plus a den accessed through dual glass doors. 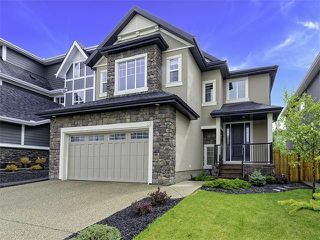 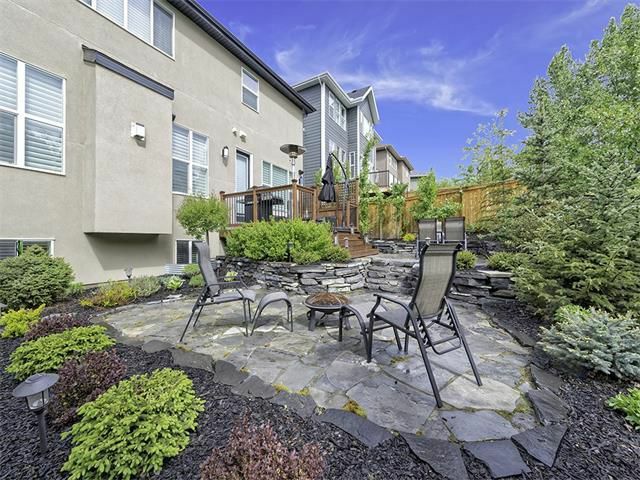 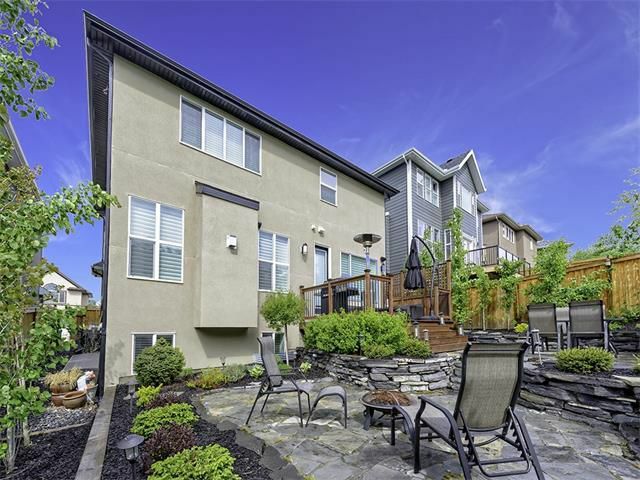 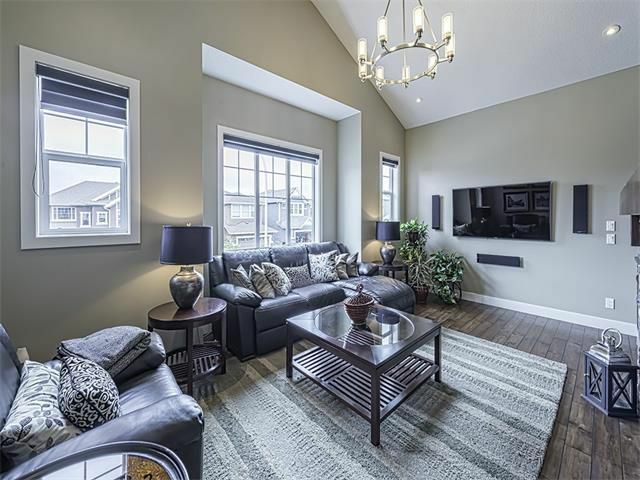 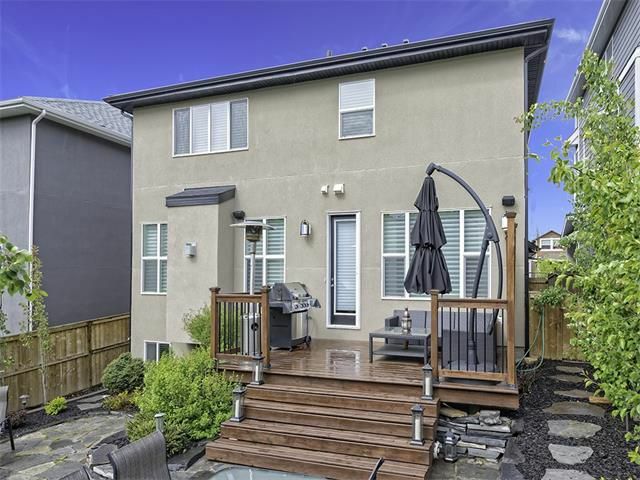 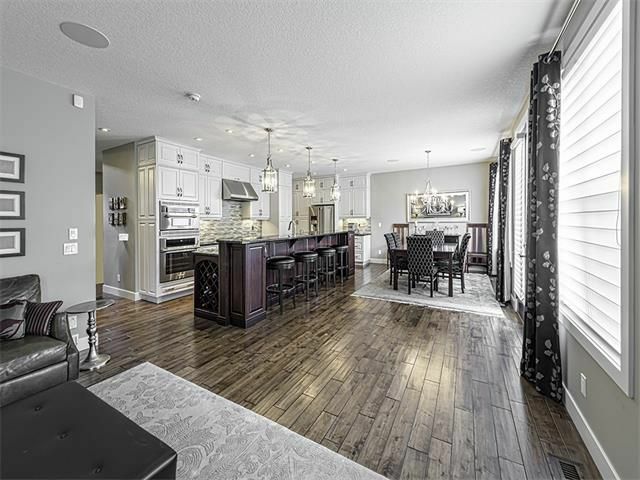 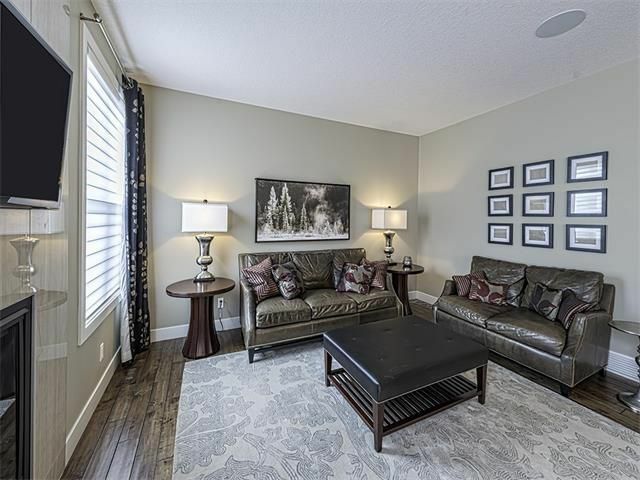 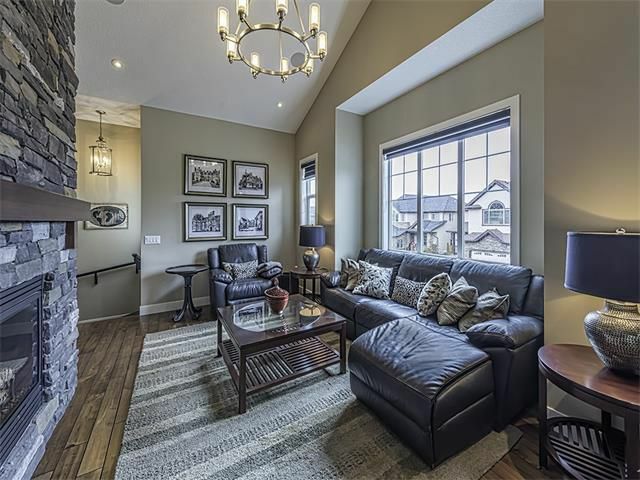 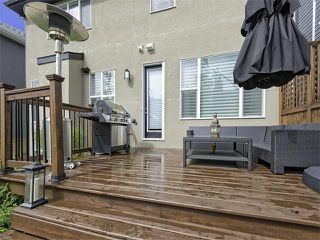 Upper level showcases large bonus room with vaulted ceiling and dramatic floor to ceiling stone finished gas fireplace along with four bedrooms. 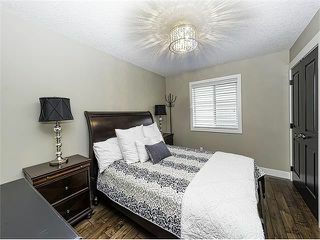 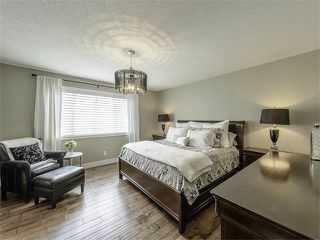 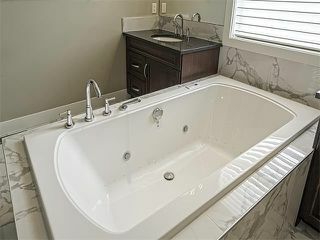 Huge master features spa like ensuite with heated floors, dual sinks, air jet tub, oversized shower and walk-in closet. 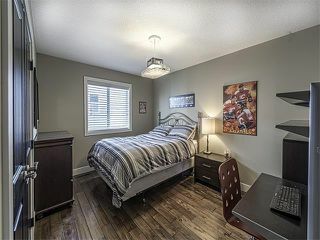 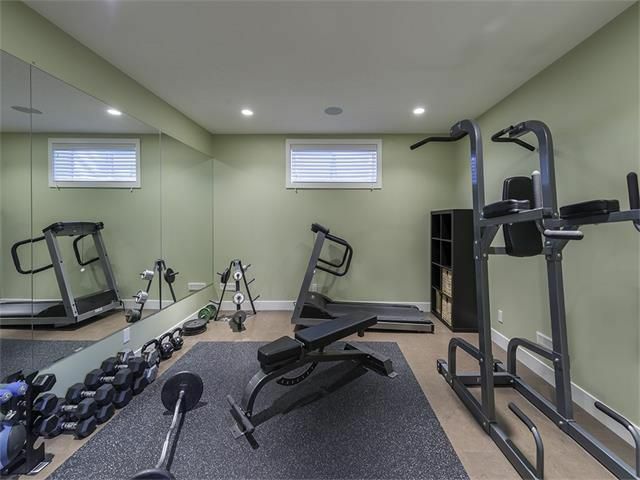 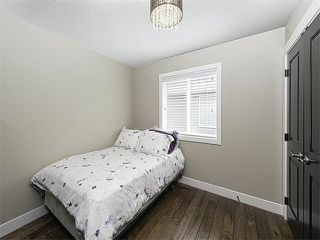 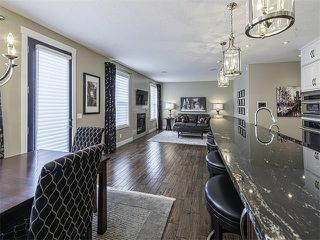 Professionally developed basement includes a family room, workout room, four-piece bathroom and flex room or fifth bedroom. 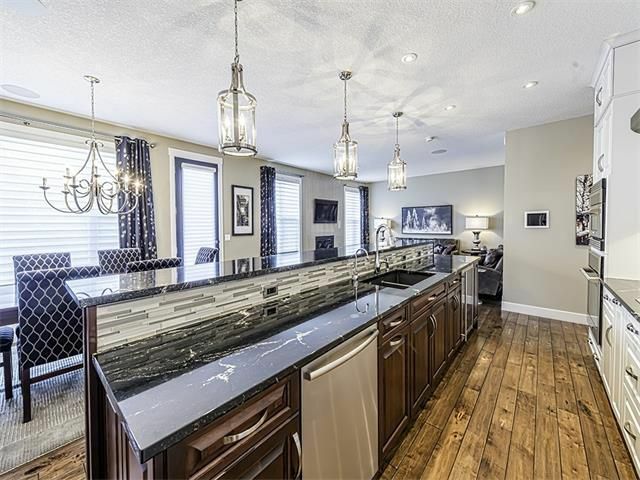 Oversized heated double front attached garage. A stunning well-appointed home.. 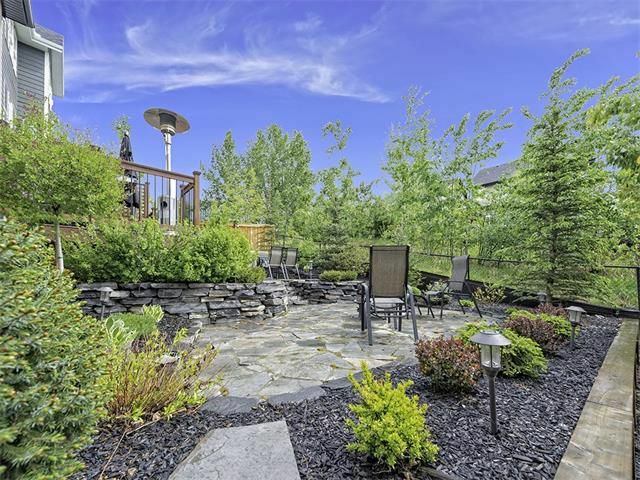 Meticulously landscaped yard both front and back. 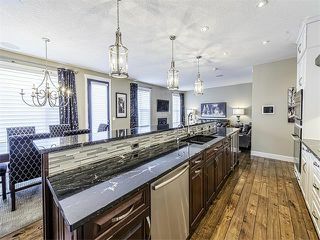 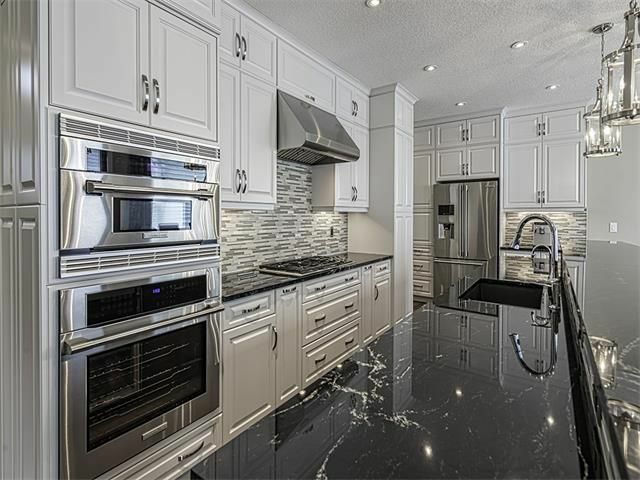 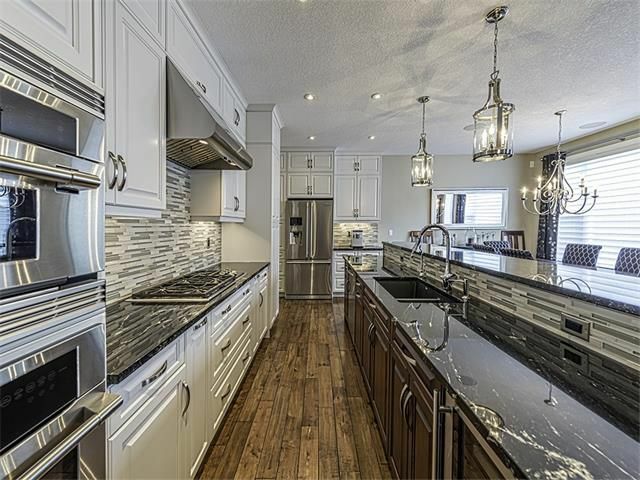 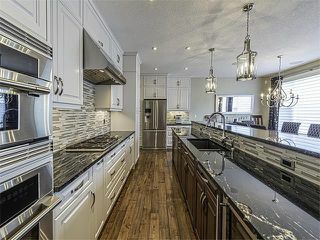 Spectacular gourmet kitchen with solid core stained maple cabinets. 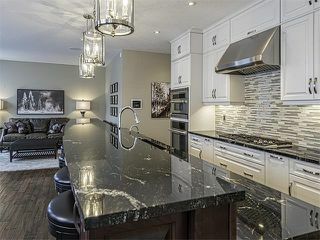 Large island with eating area highlighted by exotic Italian granite counters. Upgraded high end stainless steel appliances. 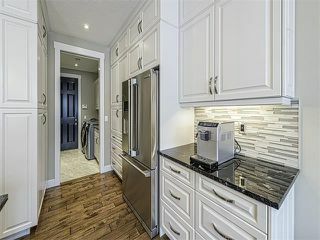 Built-in pantry with pull out drawers. 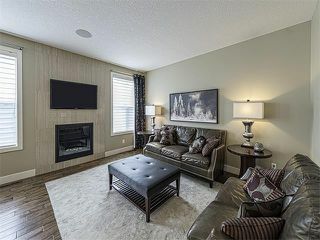 Great room accented by tile finished gas fireplace. 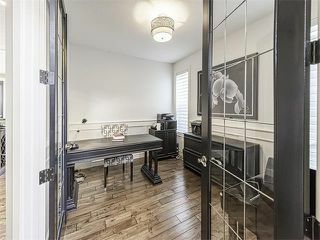 Main floor office with dual glass doors. 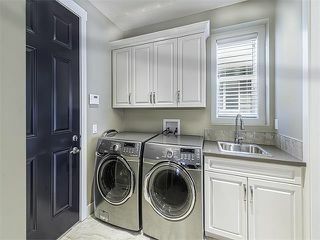 Main floor laundry room with cabinets, sink and built-in lockers. 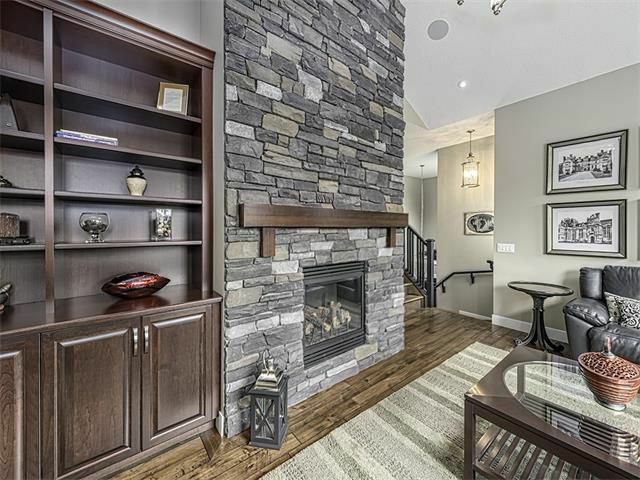 Bonus room with amazing floor to ceiling stone finished gas fireplace. 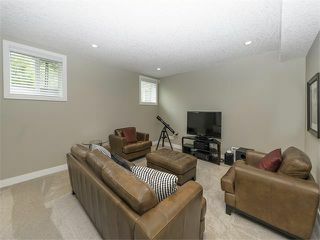 Bonus room with vaulted ceiling and built-in sonos speakers. Main four piece bathroom with tiled floors and backsplash along with quarts counters. 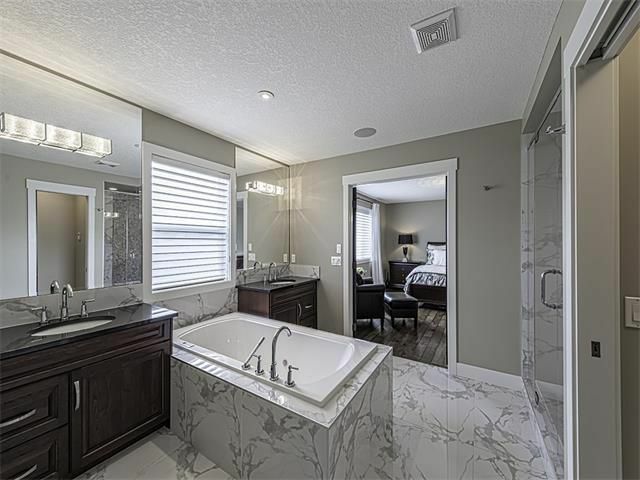 Spa like five piece ensuiote bathroom with heated floors and dual sinks. 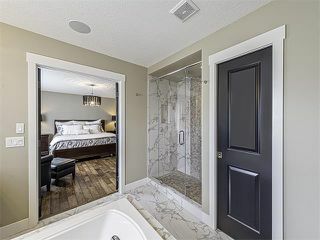 Oversized walk-in shower with 10m glass. Basement family room with large windows. Four piece bathroom in basement. 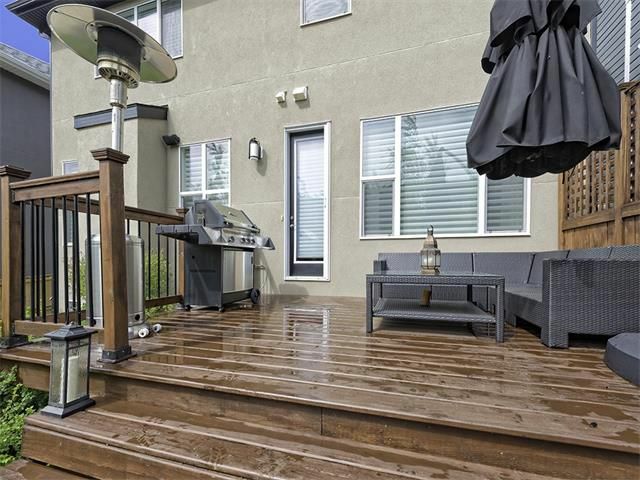 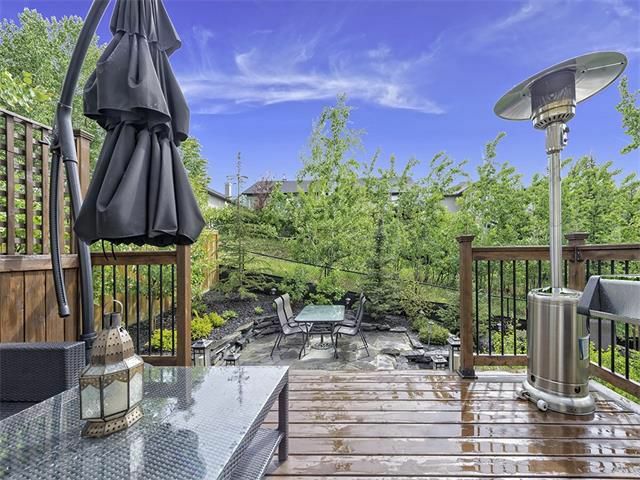 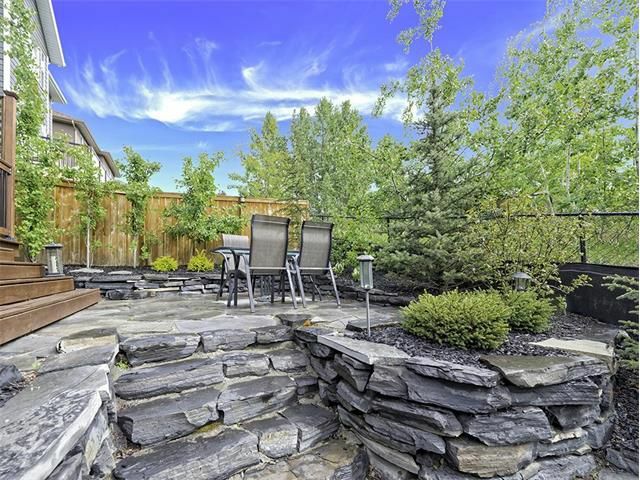 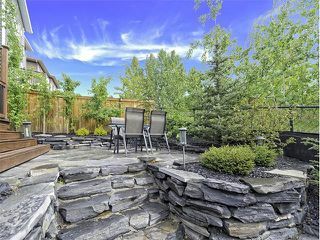 Private oasis like backyard backing onto green belt allowing for ultimate privacy. Extensive landscaped multi tiered backyard. 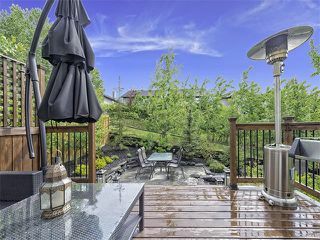 Spectacular extensively upgraded FOUR BEDROOM home with FULLY FINISHED BASEMENT backing onto a PRIVATE WOODED AREA. 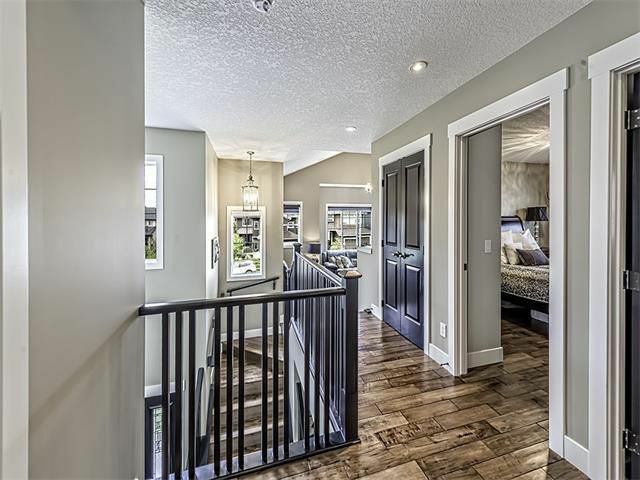 Cathedral vaulted front entry preludes open concept main floor highlighted by two tone over height doors, 9’ ceilings, hand scraped wide plank hardwood floors, central air and upgraded lighting. 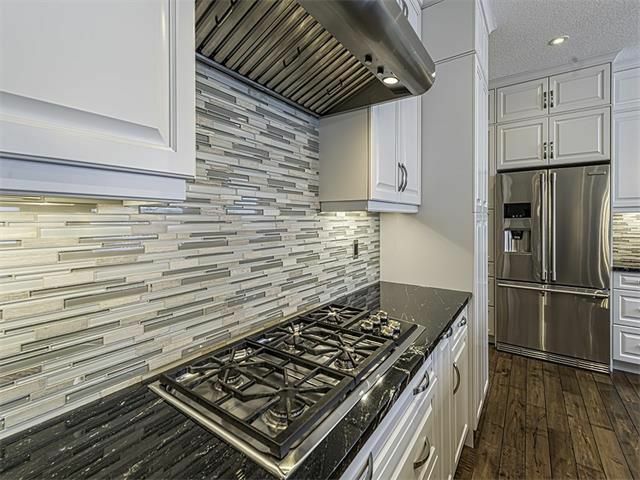 Gourmet kitchen boasts stainless steel appliances, glass tile backsplash, exotic Italian granite, solid core white cabinets and huge island with cherry cabinets and raised eating bar. 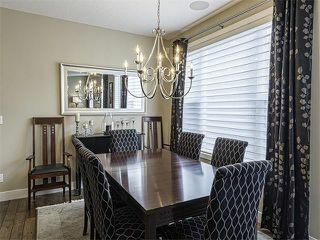 Adjacent dining room has patio door leading out onto the stunning mufti tier landscaped backyard. Great room is accented by tile trimmed gas fireplace. 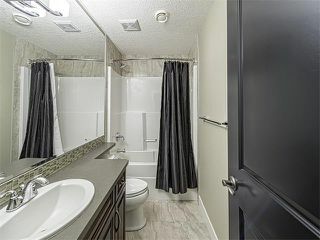 In addition, the main floor offers laundry room with cabinets, lockers and sink plus a den accessed through dual glass doors. 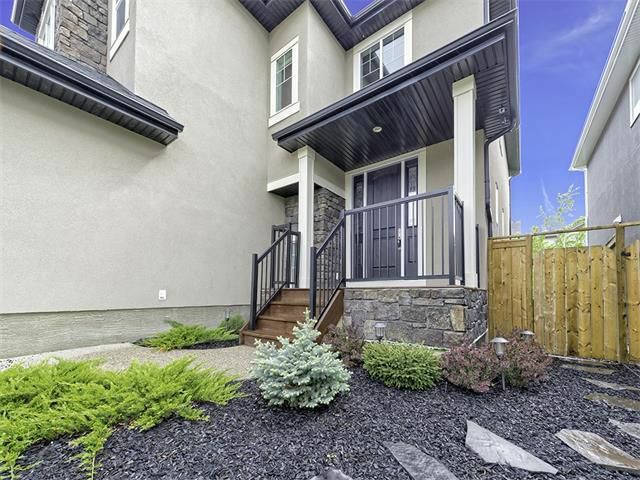 Upper level showcases large bonus room with vaulted ceiling and dramatic floor to ceiling stone finished gas fireplace along with four bedrooms. 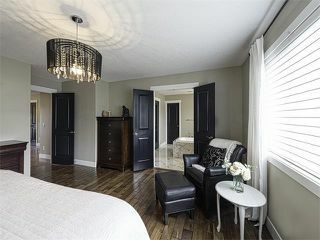 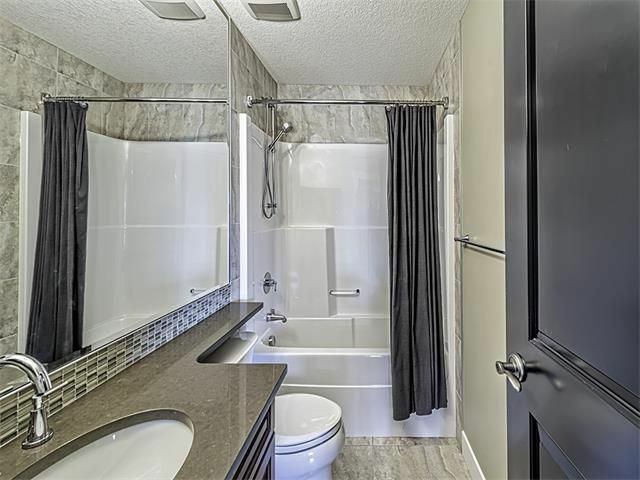 Huge master features spa like ensuite with heated floors, dual sinks, air jet tub, oversized shower and walk-in closet. 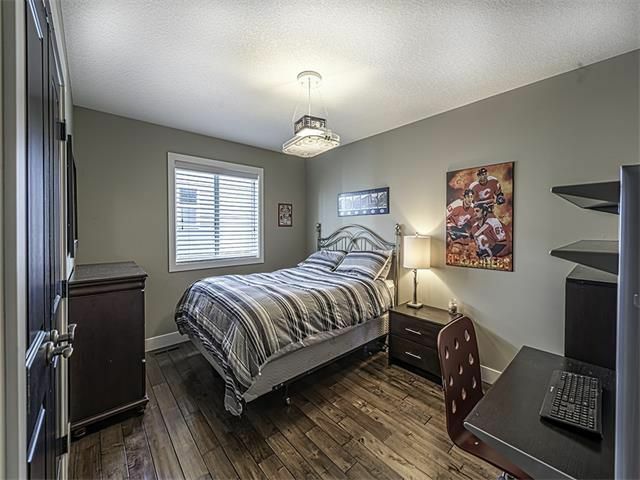 Professionally developed basement includes a family room, workout room, four-piece bathroom and flex room or fifth bedroom. 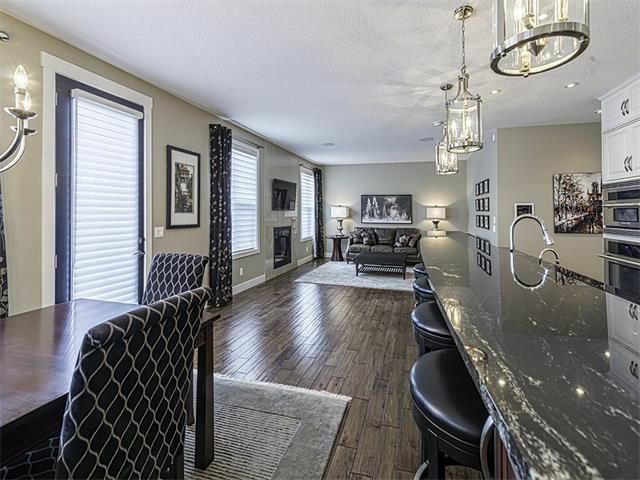 Oversized heated double front attached garage. 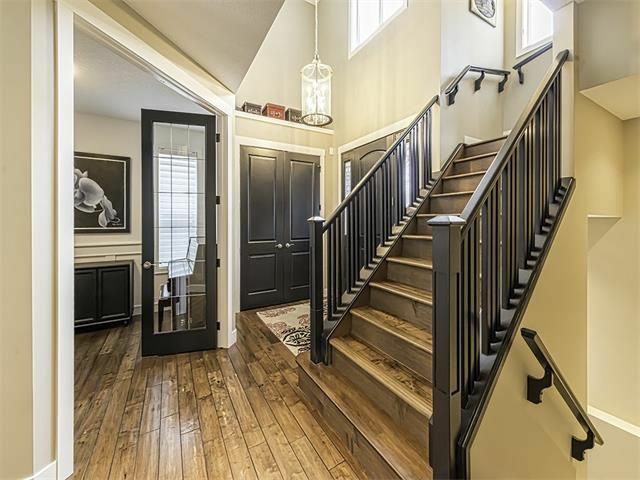 A stunning well-appointed home.